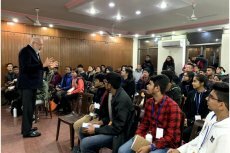 The Asia-Pacific Schools Initiative is an educational programme that brings together students and teachers of the Asia-Pacific region to create a network of future leaders, developing and nurturing in each one of them the capacity to exercise “Leadership through Serene Strength”. The programme envisages an approach to leadership that includes and goes beyond self, school, local community and inter-country levels. It is a nuanced integration of self and the surrounding world. Leadership through Serene Strength refers to the development of leaders who bear the watermarks of rigour, compassion and resilience. 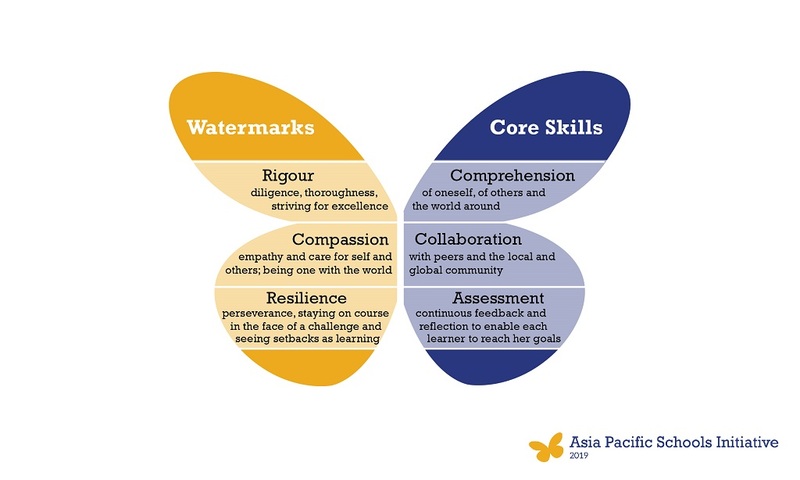 Together with these watermarks, Leadership through Serene Strength requires mastery of core skills of comprehension, collaboration and assessment. Developing the watermarks and core skills to build Serene Strength is a tough and demanding process, akin to the transformation of a caterpillar into a butterfly. This process of extending oneself beyond boundaries leads to a metamorphosis within. It enables one to emerge as a leader who has inner calm and equanimity and create positive change in the world.